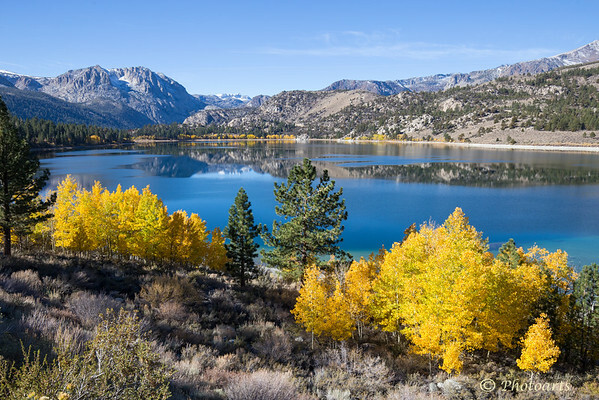 Aspens on June lake nestled in the high Sierra Nevada mountains of California burst into color each fall before the snows arrive. What a particularly gorgeous scene .... breathtaking shot! wonderful capture -- went to Boy Scout camp there when growing up just across the border in Nevada.